We’re living in the age of high tech drones which are gradually being improved in their own field. If you’re in the market searching for the best high-end drone but at a budget price, look no further for we have the best deal for you. That’s right, the Xiaomi Mi Drone 4K is now available at a limited time discount of 25 percent coming down to just $479. So let’s dive in to see some more aspects of the budget 4K drone. As to begin with, the first feature related to the camera capabilities of the device. 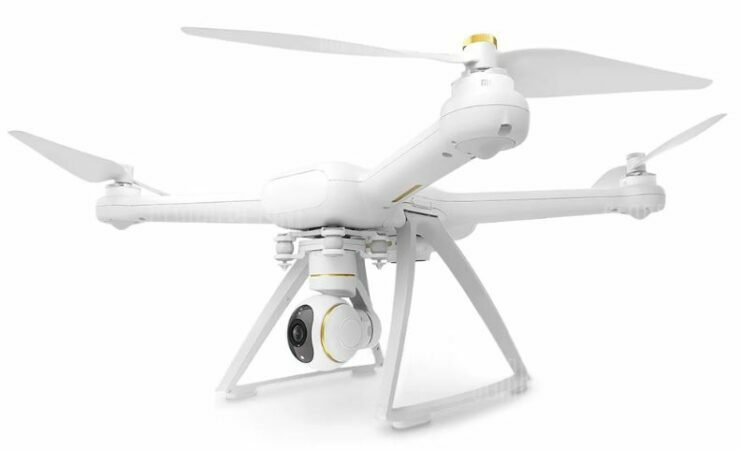 The Xiaomi Mi Drone 4K has the ability to shoot video in 4K resolution – feature not many drones would possess compared to the price point. In addition to this, the camera is attached to a 3-axis gimbal so you will get extra stable shots on each flight. The camera quality is seriously good and competes with the giants of the industry. Moving on towards the Xiaomi Mi Drone 4K‘s build quality, we have got to say that you’re getting way more than what you’re paying. The quadcopter features an all-around plastic design for keeping a low profile in terms of its weight, yet not sacrificing on the look and feel. There are golden colored accents on each arm of the copter. Apart from this, the controller is lightweight and the controls are pretty standard. This means that you will not have to go through all the technical details with new controls. The battery life gives you a flight time of 20-22 minutes which is pretty great for a budget drone. The battery capacity is 5100mAh and charges at an extraordinary charging speed of fewer than two hours. 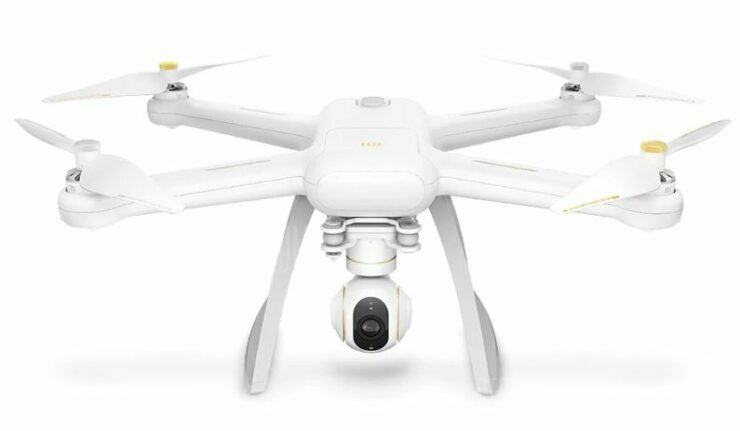 As we have mentioned earlier, the Xiaomi Mi Drone 4K is available on discount for only a limited period of time. So be sure to hurry up and avail the discount. As we have mentioned earlier, the Xiaomi Mi Drone 4K is available for only $479 down from $637.20. That is a discount of 25 percent. Be sure to avail the discount before the offer expires. Once ot does, the drone would return to its original pricing. This is all for now, folks. What are your thoughts on the Xiaomi Mi Drone 4K? We would totally recommend you to get one.